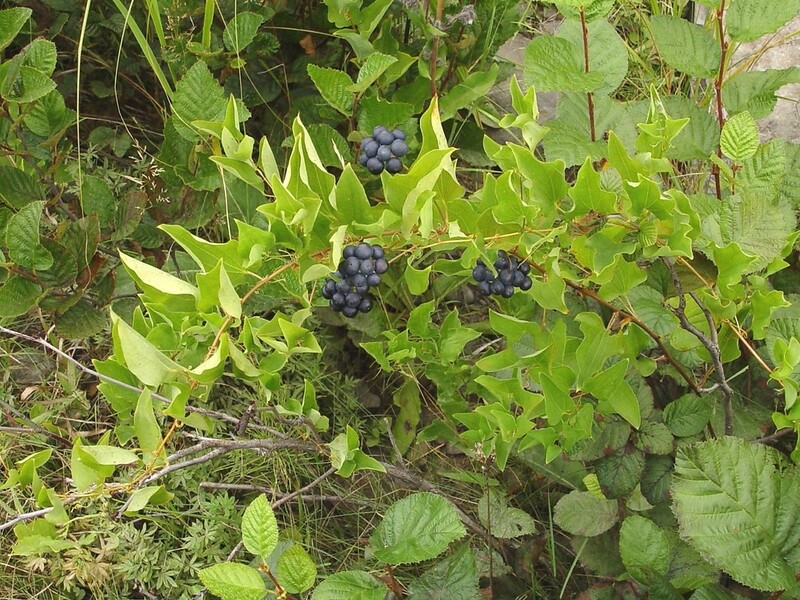 Smilax herbacea. fruit.Copyright © 2014 Donald Cameron.New England Wild Flower Society.gobotany.newenglandwild.org (Accessed 5/2014). 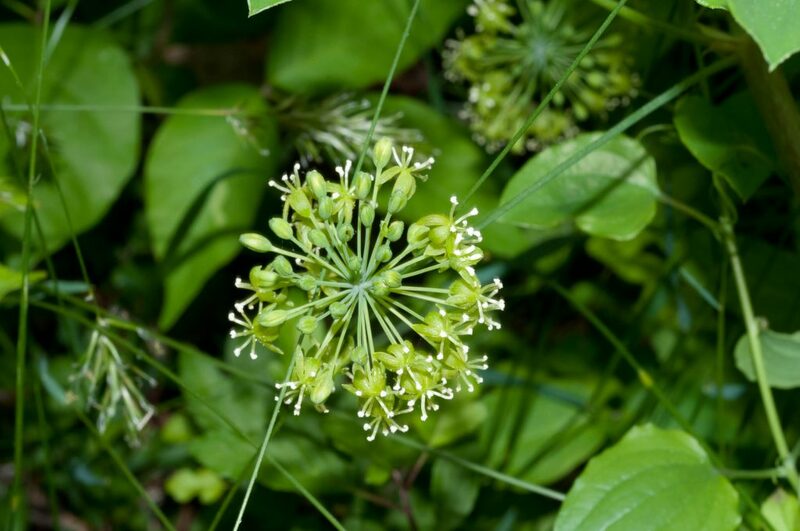 Smilax herbacea is a perennial monocotyledon, unarmed, herbaceous vine, to 2.5 m long, stem branched, climbing with tendrils arising from base of leaf stalk. Leaves alternate, stalk 1-4 cm long, blade broadly egg-shaped to rounded, tip pointed, base lobed to rounded, margins convex, entire, waxy whitish below; major veins parallel, palmate. Flowers pale yellow-green, radially symmetrical, carrion-scented, 6 petals, 0.3-0.6 cm long, male and female flowers on separate plants (dioecious); inflorescence of umbrella-shaped clusters of 20 to 100 flowers in leaf axils; inflorescence stalk flattened; blooming May-June. Smilax herbacea.inflorescence.Tom Kent.© FloraFinder.org. All rights reserved.florafinder.com (Accessed 3/2017). Fruit fleshy, to 1 cm wide, blue-black with a waxy bloom, 3-5 seeds. Seed load 43%. Pulp nutrients: water 78%, lipid 1%, protein 8%, CHO 5% (White 1989). Fruit eaten by many birds and mammals. Habitat: Moist woodlands, forest understory and edges. Notes: Stems eaten by rabbits, deer (Martin et al. 1951).